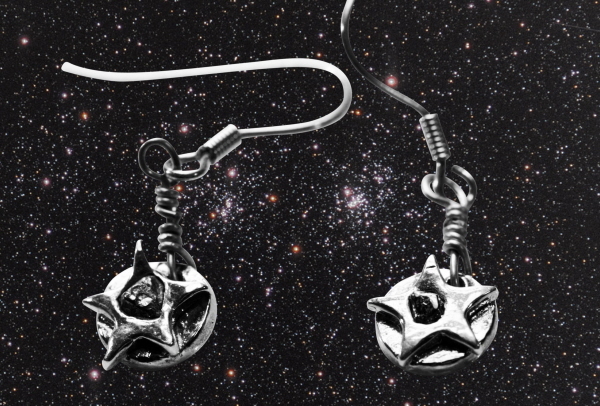 Each earring has been inset with a piece of real iron meteorite. What could be more romantic than to give your valentine a real piece of shooting star! 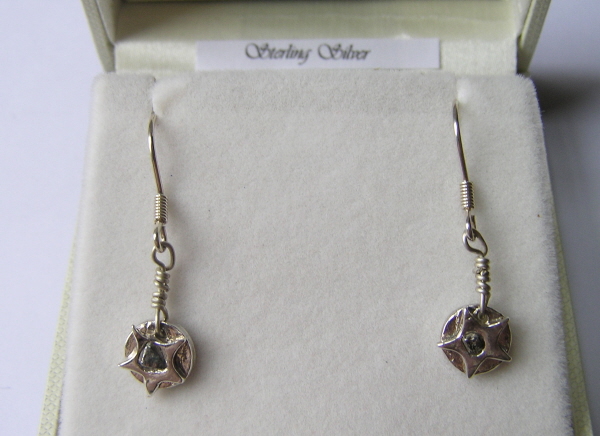 The earrings are hung from sterling silver earrings and hang down, they are not posts.